Experienced striker who came up through the Crystal Palace youth system where he kept Wilfried Zaha out of the team before making one first team substitute appearance. When released he joined Croydon before moving on to Carshalton Athletic, Tonbridge Angels and Kingstonian. 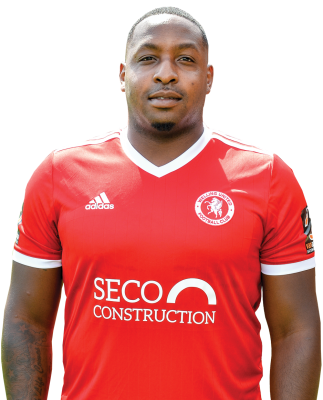 He enjoyed three good seasons at Eastbourne Borough before a brief spell at St. Albans City ended when signing for Steve King at Whitehawk. He has now followed King to Welling.